Our flagship models. These units come in five different varieties and can be programmed to generate revenue or act as a free amenity unit. Owners can set their own rates or use our standard $10 for 12 minutes configuration. Every unit measures differently in size and has a separate list of features. Use our interactive guide to help you decide which model is best for you! Our Modular Buildings offer all of the convenience of our APW models with the addition of a fully enclosed bay. These buildings are fully air conditioned for the summer months and heated for those cold winter months. 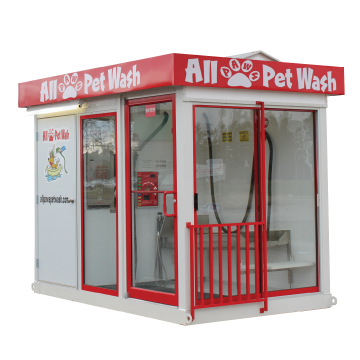 Our buildings also feature a vacuum for sucking up all of the excess water left on your pet after a wash. Modular buildings come in two sizes, a single (8' x 13'), and a double (8' x 21'). 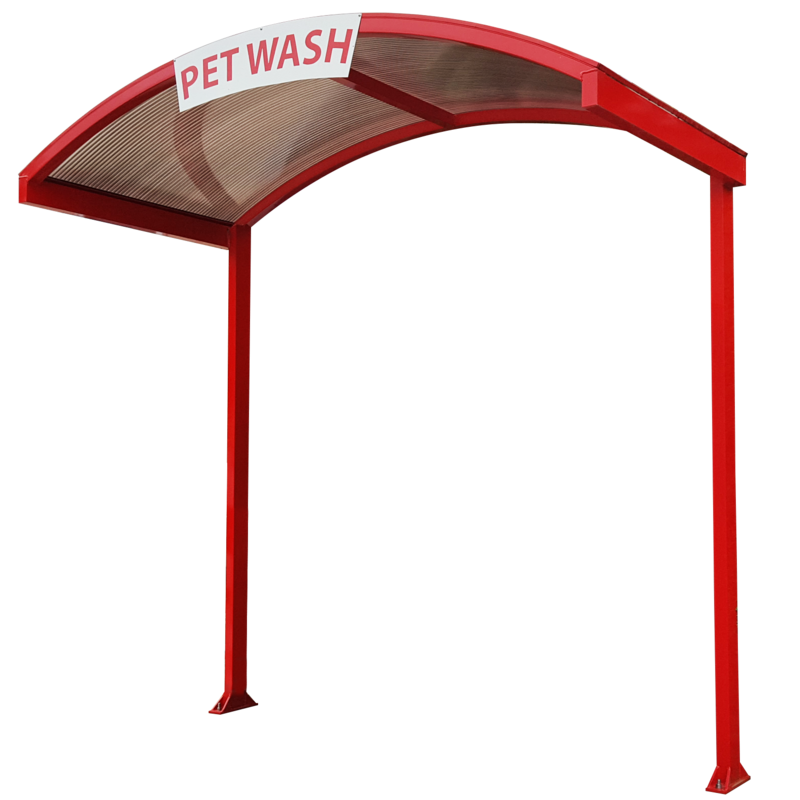 Built to the same high standards as our aluminum powder coated units, these awnings offer protection from the elements while washing your pet. Our awnings make a great addition to any APW unit and they can be powder coated to match your unit. Alternately, choose another color to add some contrast and make your unit pop. 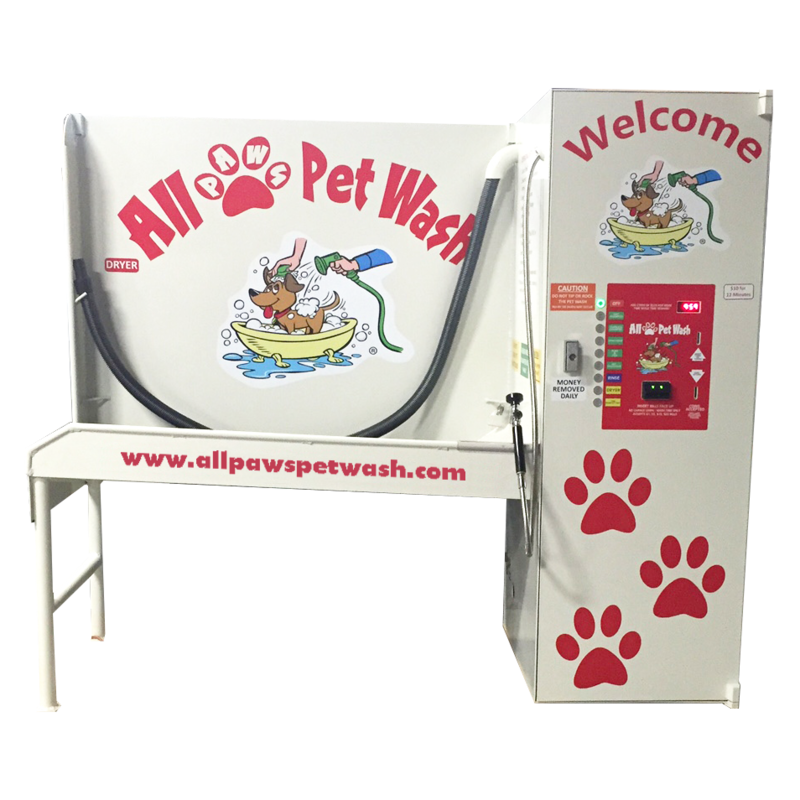 Whether you're looking for a building to keep your washes climate controlled or installing a unit in a laundry room for your tenants, All Paws Pet Wash builds a unit that will work for you business.